Used to express pleasure, satisfaction, surprise, or great joy. Looking for design inspiration? 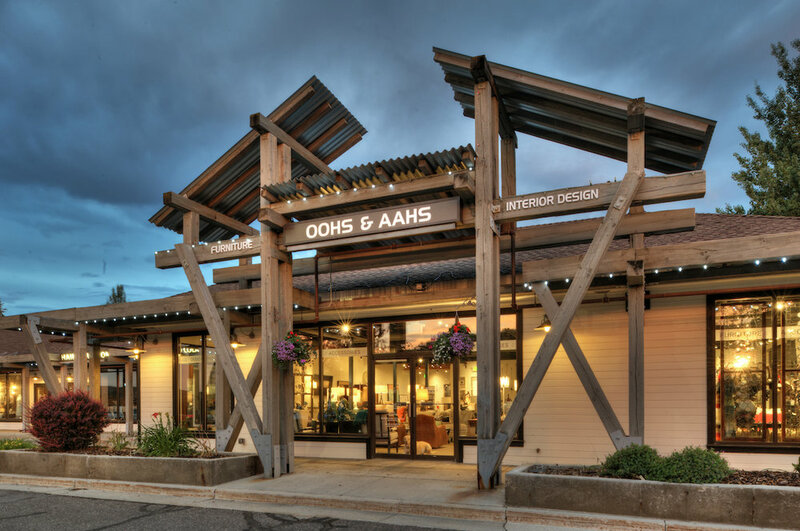 Look no further than the retail location of Oohs & Aahs. From furniture and design packages to rugs and accessories, you will find the perfect piece, or pieces for your home. If not for yourself, stop by for the perfect hostess gift or thank you for a colleague, friend or family member. Don't see what you are looking for? Love that couch but want to change the fabric? No problem. Step into our custom workroom and experience textures and colors that will be perfect, just for you. The sky is the limit when it comes to creativity. Suzanne Geibel McCammon has been working in home design for over fifteen years with several hundred completed projects in the Park City area alone. Suzanne has designed many elegant homes and resorts around the country. Projects have ranged from mountain homes to coastal retreats. Suzanne's primary goal is for your home to be functional and comfortable as well as unique and attractive, qualities that are too often mutually exclusive in home design.